Why Are Canada’s Animal Laws From 1892 – Part 1 – Is Canada not part of the G7? Are we not a democracy? Why are the wishes of concerned, tax paying Canadian citizens routinely ignored by arrogant political parties? Why is there no political will to protect the most vulnerable in our society – the voiceless? Why are animals “property” – like a chair that you might own? You can decide to destroy it – give it away – neglect it or leave it outside in the snow. 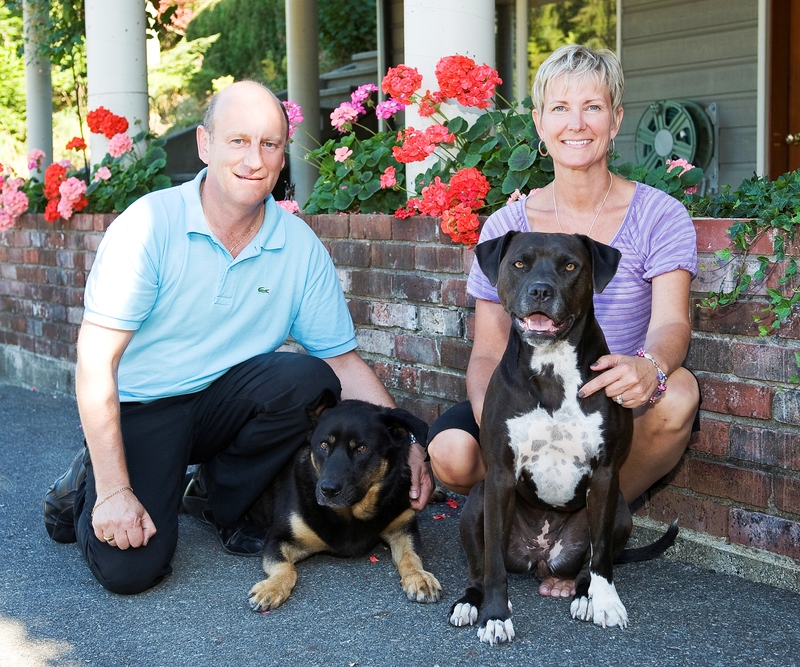 Animals in Canada have “no” legally protected rights – they are considered “property”. The laws we do have are inadequate to protect animals from gross negligence and abuse. Farmed animals – wild animals – trapped animals and pets are all vulnerable. On a day – just like any other – Chris Davies and his wife Leigh witnessed an event that would change the trajectory of their lives. They saw an appalling act of cruelty visited upon a small, defenceless dog and decided “this is NOT okay”. In the absence of concerned politicians – it will be citizens who force politicians to finally act and make our animals and their treatment a priority. The work I am doing has been brought about because of a horrific act of animal cruelty my wife and I witnessed. We caught a young man punching his Boston terrier in the head and throwing it across the road. The upshot of this was that the dog remains with the owner and we are awaiting a trial date. Due to the fact that the dog remained with the owner we decided to look at the law in detail and were very disappointed in what we found. Consequently we have met with our local MP, Jean Crowder on two occasions now to discuss Animal Cruelty Legislation here in Canada. ( she has been very supportive) Following the first meeting she gave us some homework to do regarding the Peggy Nash bill to improve animal welfare that has sat in parliament since 2011. She asked us to review it and determine if it was fit for purpose, if not, tell her why and write another bill. And that’s just what we did, we wrote an alternate bill to amend the criminal code animal cruelty section. We looked at good examples of law throughout the world and identified best practice and brought this into our proposed bill. On the 21st of January 2014 we presented a proposed Animal Cruelty Bill to her. This was the culmination of a good few months’ work (Animal Welfare Bill Canada) I have had input from Animal Advocates, SPCA personnel and various rescue organisations across the country. The outcome of the meeting with Jean Crowder MP was very positive. Jean has gone into print and on TV confirming her support for change and the work that we are doing. Jean has taken the proposed bill to Ottawa and is now in discussions with other MPs right across the board, her political party and others. We are expecting her to come back to us with a plan of action when she has done the rounds so to speak. I would be happy to send you a copy of the bill if you let me have an email address to send it to. Below are some news clips of the publicity we have received. What is also very good is the fact that Jean has announced her plan to retire at the next election, thus she is only motivated to do this because she thinks it’s right and should be done. There is no political agenda. In the background we are in the midst of compiling a list of all animal related rescues, charities etc. all over Canada. There currently is no such list so this will be a first. The numbers are growing daily as we add to it. Currently we have identified over 1100 such organisations. We have captured their contact emails, Facebook and web site info. Collectively these organisations reach in excess of 2.6, million likers on Facebook. Admittedly some people will have liked more than one organisation but I still think we are looking at some very high numbers. We also have over 900 people signed up on or web site – www.terryslaw.ca – please check it out. These people have registered interest in helping push a new bill through via collecting signatures for a petition should it be required. They are located all over the country. Again, the numbers are growing daily on this. When Jean Crowder comes back with a bill that she feels she can work with I really do believe that we can make this happen by having a concerted effort right across the country and that’s what I am trying to do here. I need support from all directions. Even if they chop my suggested bill up into bits (which they will) and one or two things remain, we will have still taken a step forward and that’s important. 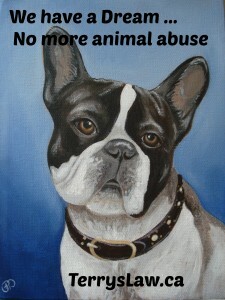 I really think that if we, all animal organisations stand together on this, we could do it. It would be great if I could have your support on this initiative, will you please consider it. I am not after anything other than your support, so please consider helping me on this. As I mentioned, we can change the law but we all have to pull together to make it happen. And that’s what I am trying to do, I am trying make a real big push to make things change. I know it can be done. The laws in Canada regarding Animal cruelty have changed very little in the last 110 years, it’s time they did, and together, we can do it.